Wu Yize gave some tutorials to Oskar on break-building and compiled two back to back breaks of 81 and 78 and took 2 frames lead. 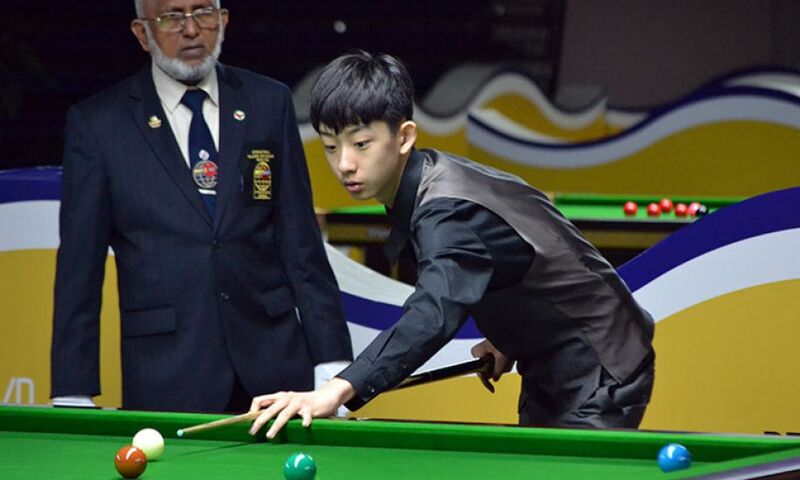 However, Oskar got opportunity to score some points in the third frame and scored 32 but Wu Yize was in better form and countered him well and won third frame as well. Even in fourth frame, there were some chances for Oskar but he failed to capitalize them and had no other option rather bowing down to Chines challenge with the final score-line 105(81)-00, 101(78)-00, 72-32 and 69-02. The other quick finishing match was on table 2 where Indian boy S. Shrikrishna knocked out Hong Kong player Lau Ho Hin in straight set of frames 4-nil. Though there was no heavy scoring but Krishna kept scoring at regular interval to keep up the lead and succeeded.